Maine has a progressive tax system with the 10th highest top marginal tax rate at 7.15%. The state sales tax is among the lowest in the country and there are no additional local sales taxes collected throughout the state. Retired? Use our Retirement Income Tax Calculator. Our income tax calculator calculates your federal, state and local taxes based on several key inputs: your household income, location, filing status and number of personal exemptions. Also, we separately calculate the federal income taxes you will owe in the 2018 - 2019 filing season based on the Trump Tax Plan. First, we calculate your adjusted gross income (AGI) by taking your total household income and reducing it by certain items such as contributions to your 401(k). Next, from AGI we subtract exemptions and deductions (either itemized or standard) to get your taxable income. Exemptions can be claimed for each taxpayer as well as dependents such as one’s spouse or children. Based on your filing status, your taxable income is then applied to the the tax brackets to calculate your federal income taxes owed for the year. Your location will determine whether you owe local and / or state taxes. When Do We Update? - We regularly check for any updates to the latest tax rates and regulations. Customer Service - If you would like to leave any feedback, feel free to email info@smartasset.com. Maine has cut income taxes multiple times in recent years. In 2011, lawmakers lowered the income tax rate from 8.5% to 7.95%. That was one of the largest tax cuts in the state’s history. For the 2016 tax year, the highest tax rate was lowered again to 7.15%, where it remains for the 2018 tax year. The state’s top rate still ranks as one of the highest in the U.S. Maine’s statewide sales tax of 5.5% also ranks among the lowest in the country - especially because there are no county or city sales taxes anywhere in the state. The state income tax in Maine is based on just three brackets. Earners with incomes landing in the bottom bracket pay a rate of 5.8%. Meanwhile top earners face a rate of 7.15%. The table below shows the tax brackets and rates for all filing statuses in Maine. Maine’s tax system conforms to the federal tax system in most ways, which means taxable income and deductions for the two are very similar. In fact, Maine taxes are based on federal adjusted gross income (AGI), although there are some differences and items that you may need to add to or subtract from your total income before applying the tax rates above. The most significant addition to Maine taxes is for income from municipal and state bonds outside of the state of Maine. Any income from, for example, a City of Boston municipal bond must be added back to your total income. Income from such bonds are exempted from federal taxes. Items that can be subtracted from your income for the purposes of calculating Maine’s state income tax include Social Security benefits (if included in federal AGI), income from obligations of the U.S. government (such as savings bonds or U.S. Treasury bills) and up to $10,000 in eligible pension payments to you and your spouse (less Social Security payments). Itemized deductions match federal itemized deductions, and can only be claimed if you claim itemized deductions on your federal tax return. If you claim the standard deduction federally, you must also do so on your Maine tax return. In 2018, the standard deduction in Maine is $12,000 for single filers and married persons filing separately, $24,000 for joint filers and $18,000 for heads of household. Exemptions likewise match federal rules. In fact, your Maine exemption amount is copied directly from your federal return. Maine has a number of tax credits that benefit taxpayers in certain situations. The Maine Property Tax Fairness Credit is available to low-income homeowners who paid property tax on a primary residence in the past year. The maximum benefit for this credit is $600, depending on filing status and the number of exemptions claimed. The Child Care Credit is a partially refundable credit for child care expenses. It is equal to 25% of regular expenses and 50% of “quality” expenses (which require a certificate from your childcare provider); the first $500 of this credit is refundable. The Credit for Educational Opportunity is a partially refundable credit for graduates from a Maine college or university with degrees in science, technology, engineering or math, and who made college loan payments during the tax year. This is applicable to Maine residents and part-year residents only. 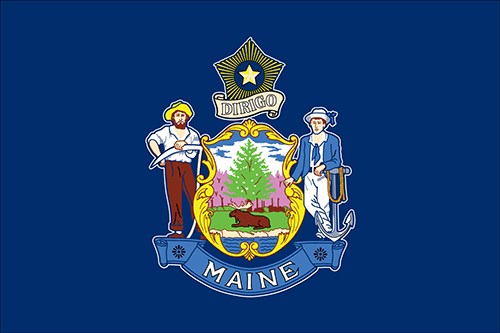 The Maine Seed Capital Credit is available to investors in qualified Maine businesses. 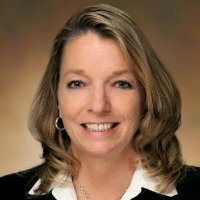 This credit is given through the Finance Authority of Maine. Maine taxes both long- and short-term capital gains at the full income tax rates described in the income tax section above. 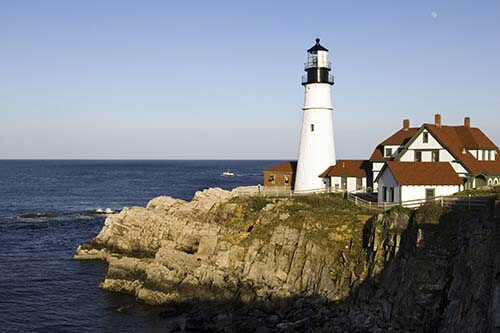 This means that income from capital gains can face a state rate of up to 7.15% in Maine. Maine levies taxes on “tangible personal property” which includes physical and digital products, as well as some services. The general sales tax rate is 5.5%. Since there are no local sales taxes, that is the highest rate you will pay anywhere in the state. Some goods are specifically exempt from taxation, most notably groceries, prescription drugs, prosthetic devices, diabetic supplies, crutches, wheelchairs and newspapers. Taxable services are subject to a lower rate of 5%. Services that are taxed in Maine include: cable and satellite television service, rentals of videos or video equipment, rentals of furniture, rentals of audio or audio equipment, telecommunications services and certain types of support and training services (like alcoholism recovery centers). Property taxes in Maine are an important source of revenue for local governments and school districts. The state has the 16th highest average effective property tax rate in the U.S., at 1.35%. That means that, on average, Mainers pay 1.35% of their home’s value in property taxes. As described above, low-income homeowners may be able to claim a tax credit to offset the cost of their property taxes. The credit can be as much as $2,000 for single filers—enough to cover most of the average property tax bill in Maine. If you’re considering purchasing a home in Maine, our Maine mortgage guide lays out the key information about getting a mortgage in the Pine Tree State. It offers details on rates and the various kinds of loans available. For deaths in 2018, the estate tax in Maine applies to taxable estates with a value over $5.6 million. Estates above that threshold are taxed as follows: 8% on first $3.2 million above the threshold; $240,000 plus 10% on the next $3 million; and $540,000 plus 12% on all remaining value. Any taxable estate with a value over $11.6 million will face the top marginal rate. The state excise tax on gas in Maine is 30 cents per gallon of regular gasoline. Additional levies on fuel are collected for the Coastal and Inland Water Fund (.0007 cents per gallon) and the Groundwater Fund (.0090 cents per gallon). That brings the total to about 30.01 cents per gallon, the 24th highest gas tax in the country. Meanwhile, total taxes on diesel are 31.21 cents per gallon, and taxes on ethanol are about 20 cents per gallon. If you buy cigarettes in Maine, you’ll have to pay the state’s cigarette tax. It adds up to $2.00 per pack, the 16th highest cigarette tax in the country. Maine is an alcoholic beverage control state—the state’s Bureau of Alcoholic Beverages and Lottery Operations controls the wholesale of liquor and fortified wines within the state. Taxes are included within sale prices, which means those prices are higher than they otherwise would be. The state’s excise tax on liquor is $5.83 per gallon, 25th highest in the U.S. The beer tax is 35 cents per gallon, which is 3.2 cents per beer and 18th highest in the country. Maine has the lowest population density of any state east of the Mississippi. West Quoddy Head, Maine is the easternmost point in the 50 states, and, therefore, the closest to Europe. The largest cities in Maine are Portland, Lewiston and Bangor. The capital, Augusta, has fewer than 20,000 residents.